Many label and packaging business owners do not have the luxury of taking time off to visit press manufacturing facilities. In response, Mark Andy has chosen to tour the globe, providing converters with an opportunity to learn about the latest in print technology in their own backyard. Digital One is Mark Andy’s entry-level digital hybrid label press. 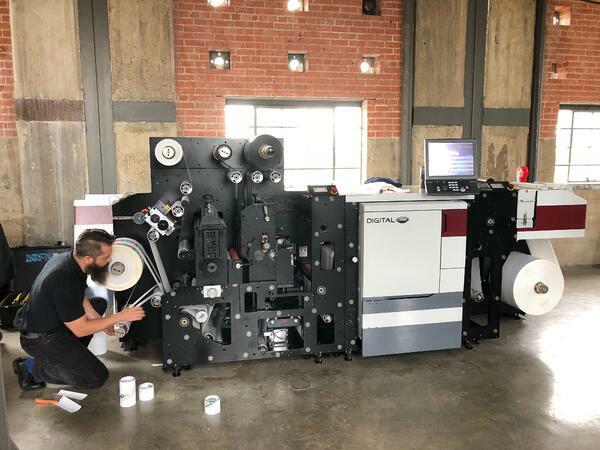 Designed for profitable micro to short run work, the press is made up of 4 color digital print modules and a multi-function flexo deck for spot colors, laminates, adhesives or varnishes. Unlike many other small footprint digital devices, Digital One provides inline converting and finishing, delivering ready-to-ship labels. No secondary equipment or steps required! Aaron St. John, setting up the Digital One the day prior to the show. The Dallas Roadshow was the first in Texas, as well as the 13th location in the series. Following suit with past roadshows, the press was up and running within a few hours of getting to the location thanks to Aaron St. John, Mark Andy Digital One expert (See him featured in our demo video here). Converters from around the area had the opportunity to witness live demos and ask specific technical questions. 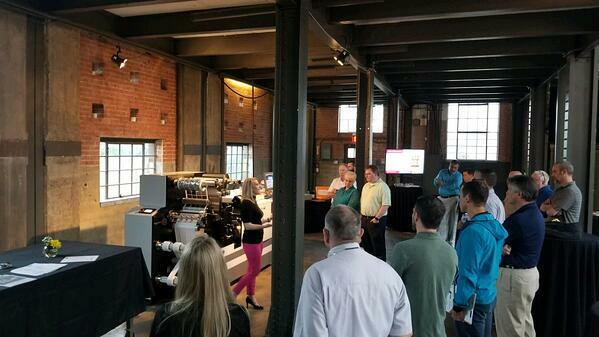 Attendees viewed live demonstrations of the entry-level digital label press. Leading the demos at the show was Bridgette Bridges, Digital Product Advisor at Mark Andy. Bridgette joined the team in November 2016 and has played an integral role in consulting converters on the best ways to grow their business and educating the market on the true benefits of digital hybrid technologies. 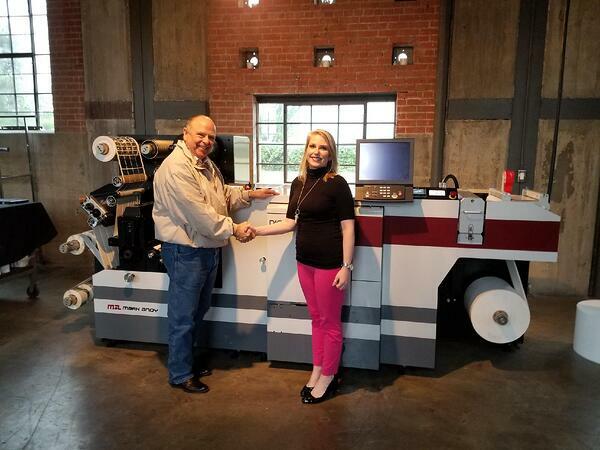 Texas Tape and Label made the decision to purchase the digital label press at the show. Davis Metz, President of Texas and Label, began his search for additional capability when he realized the need for a profitable solution for high-quality, short run work. After downloading the eBook, Diving Into Digital, Davis began discussing Digital One with Bridges. Through his discussions with Bridges, Metz realized Digital One may be the perfect solution for his business’s needs. Seeing the press in action at the Roadshow, solidified his decision to add digital hybrid technology to his business. Speaking on the new addition, Metz states, “We have been searching for a viable digital solution that will allow us to produce quality, custom labels for markets we have been unable to penetrate with our current equipment”.The Digital One brings additional capabilities that will allow Texas Tape and Label to execute on their impressive plans to enter the booming craft beer, wine and spirits industry. The Dallas Roadshow served as a platform for many companies to take the first step on their digital journey, confirming their decision to partner with Mark Andy to grow their business through entry-level digital hybrid technology. The Digital One team enjoys these events, where they can chat one-on-one with converters and looks forward taking the press to new locations in 2018.